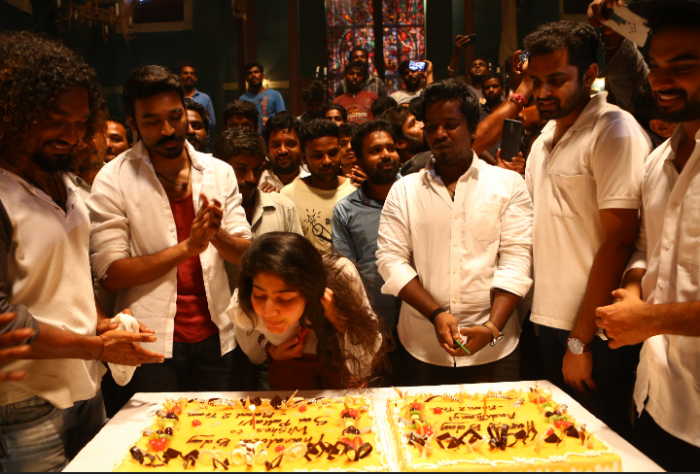 The actress, who turned 26 on May 9, had a working birthday but the cast and crew of Maari 2 made sure that she spends a memorable day. 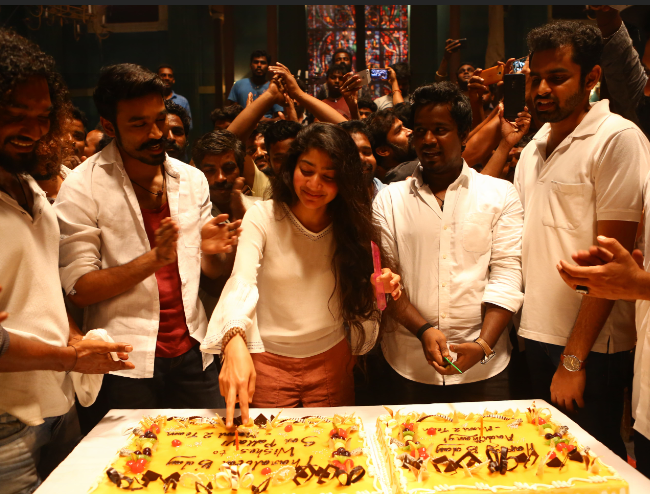 Sai Pallavi, who is currently shooting for her second Tamil outing Maari 2 with Dhanush, had an amazing birthday celebration yesterday. 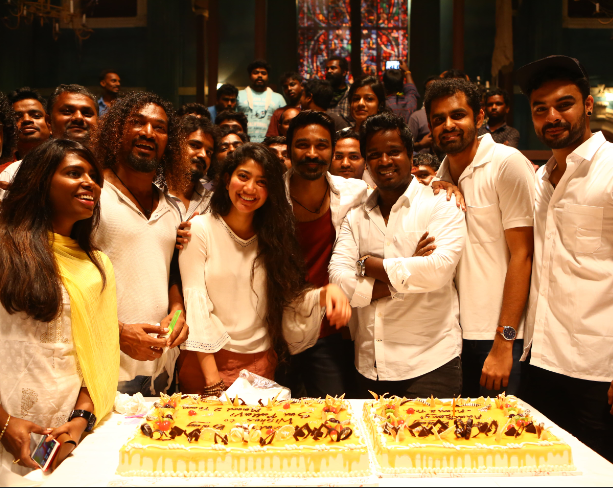 The actress, who turned 26 on May 9, had a working birthday but the cast and crew of Maari 2 made sure that she spends a memorable day. 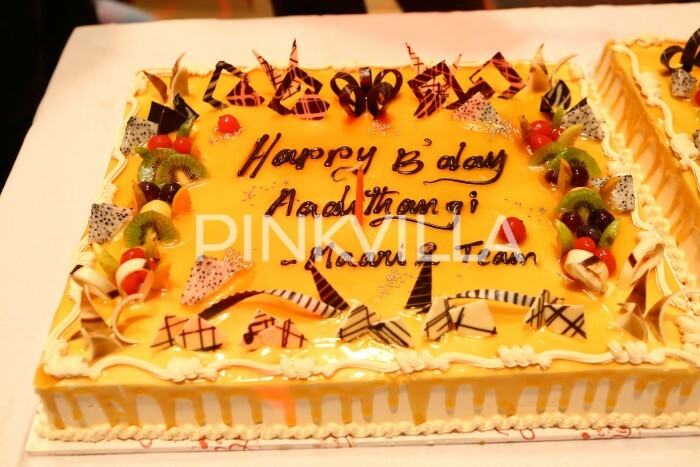 The makers surprised Sai Pallavi and ‘Adhithangi’ Vinoth, who also celebrated his birthday yesterday. 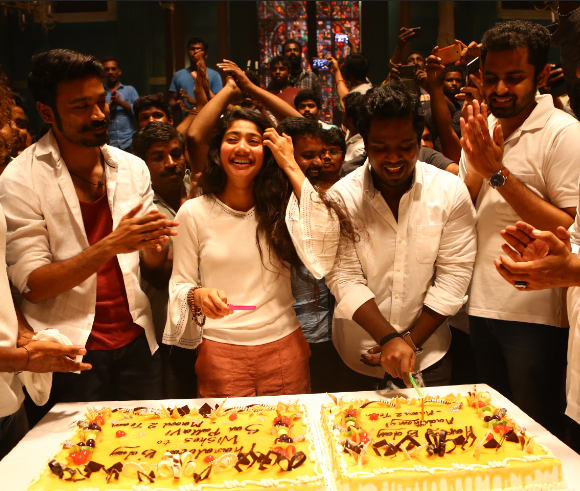 Produced by Dhanush’s Wunderbar Films, ‘Maari 2’ stars Sai Pallavi as the female lead Malayalam actor Tovino Thomas will reportedly be playing the main antagonist. However, not much details about the star cast has been revealed. 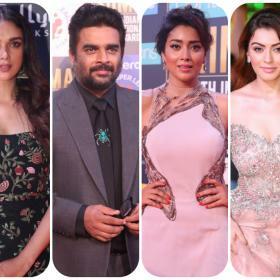 The film also stars Varalaxmi Sarathkumar, Krishna and Robo Shankar in supporting roles. 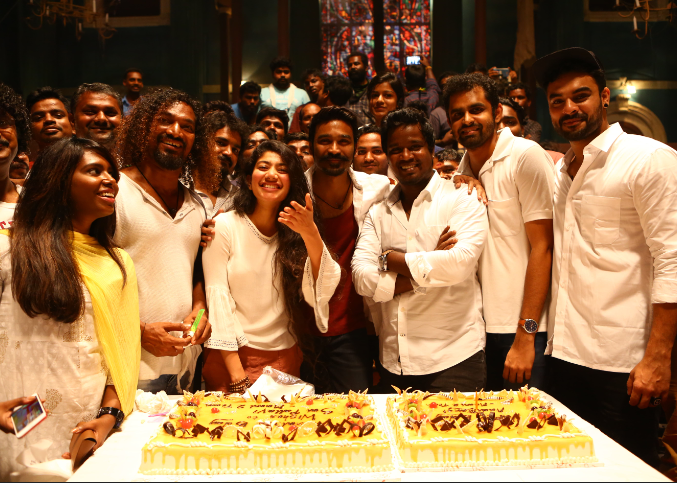 Music composer Yuvan Shankar Raja is reuniting with Dhanush after a long time in ‘Maari 2’, which also has a song by maestro Ilaiyaraaja. The makers of the film are currently shooting the last leg and the film is likely to release this year. Sai Pallavi will next be seen alongside Tamil top star Suriya in NGK which is being directed by Selvaraghavan. Produced by Dream Warrior Pictures, the film is slated to release on Diwali. Sai Pallavi also has a Telugu film alongside Sharwanand which is titled Padi Padi Leche Manasu.